↑ Mohan Guruswamy. "Don't forget the heroes of Rezang La". The Hindu. अभिगमन तिथि 2016-04-08. ↑ Mohan Guruswamy (November 20, 2012). 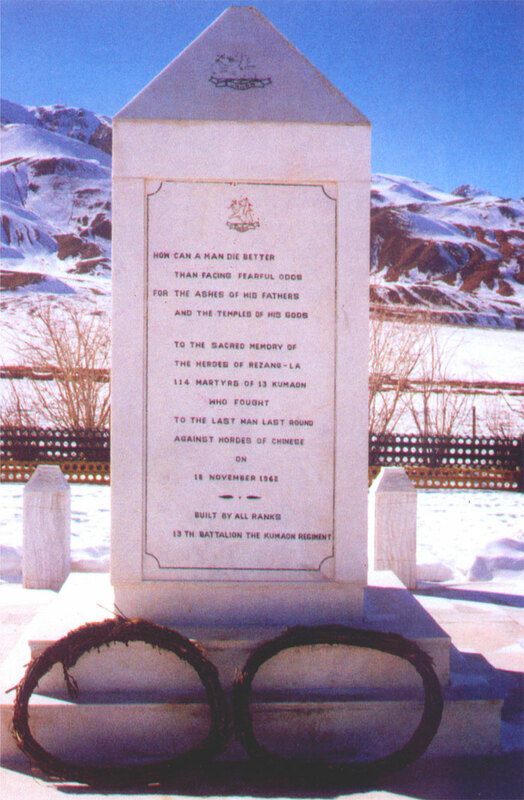 "Don't forget the heroes of Rezang La". The Hindu. अभिगमन तिथि 28 March 2015. ↑ "Nobody believed we had killed so many Chinese at Rezang La. Our commander called me crazy and warned that I could be court-martialled". Indianexpress.com. अभिगमन तिथि 2016-04-08. ↑ "Lays of Ancient Rome, by Thomas Babbington Macaulay". Gutenberg.org. अभिगमन तिथि 2016-04-08.